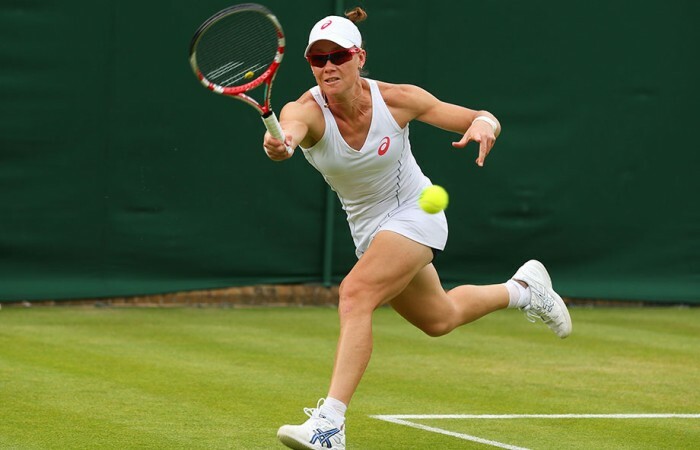 Samantha Stosur matched her best result at Wimbledon as she stormed into the third round with a dominant win over Russian Olga Puchkova on Thursday. In another impressive display of power and precision, the Australian 14th seed eased to a 6-2 6-2 win over 86th-ranked Puchkova. In doing so Stosur reached the third round of the grasscourt Grand Slam for just the second time in 11 attempts, following her only previous appearance in round three in 2009. Stosur will get a chance to progress to the fourth round for the first time when she faces 23rd-seeded German Sabine Lisicki, a 2011 semifinalist at the All England Club, on Saturday. The reward for doing so would be a likely last-16 showdown with top seed Serena Williams. 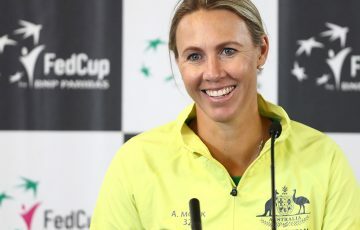 After opening her campaign with a comprehensive win over Slovakian teen Anna Schmiedlova, Stosur spoke of a feeling a new clarity playing on grass, traditionally her least-favoured surface. She certainly appeared clear-minded in making a brilliant start against Puchkova. Serving and returning well, Stosur raced to a 4-0 lead. The Russian claimed two games, both breaks as she struggled badly on serve. The second set was equally one-sided, with Stosur in total control throughout as she completed a professional performance in under and hour. Lisicki defeated Russian Elena Vesnina 6-3 6-1 on Thursday. Stosur was pleased with all aspects of her performance. “Especially the way I got off to a good start,” Stosur said. “I thought I returned very well when I had an opportunity to take a ball and move forward. “Even though I didn’t hit too many volleys, the intention to move forward and play aggressive was there. Asked whether she was feeling better than ever on grass, Stosur said: “I think that’s a pretty accurate statement. “I’m feeling pretty good and really pleased with those couple matches.